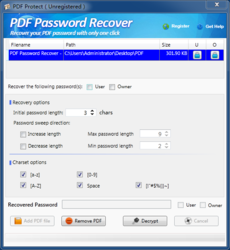 PDF Password Recover was available as a giveaway on May 9, 2017! 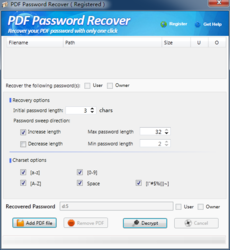 How would you improve PDF Password Recover ? According to the screenshots, it supports only English letters. This is a very big minus. The World is full of languages, on which passwords can be typed. For example, from German: ü ö ä, in Spanish there is the letter Ñ, Greek, Turkish: Ç ç Ğ ğ Ö ö Ş ş. In the given case, I exclude the Russian language (it does not count). According to the screenshots, it supports only English letters. This is a very big minus. The World is full of languages, on which passwords can be typed. For example, from German: ü ö ä, in Spanish there is the letter Ñ, Greek, Turkish: Ç ç Ğ ğ Ö ö Ş ş. In the given case, I exclude the Russian language (it does not count). Such paid programs should also be online. 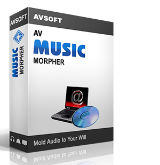 Many do not is no possibility to buy a very powerful computer, there is no possibility to wait a whole month (after all, a person does not remember in which language he wrote the password in his native language or in English). Such paid programs should also be online. Many do not is no possibility to buy a very powerful computer, there is no possibility to wait a whole month (after all, a person does not remember in which language he wrote the password in his native language or in English). Dimma, to provide an online server or farm of servers that could be used by subscribers to brute-force passwords on anything would likely result in SLOWER try rate than using your own dedicated PC since it could be shared by thousands of people grinding the whole process to a near halt! First things first, maximize the local processing capabilities of the local machine, include multi-core AND simultaneous GPU multicore processing. If you then want to rent/lease a server and dedicate it solely to your own brute forcing of a password then you might manage a slightly better speed. Another optimization would be segmented brute forcing where different machines are dynamically allocated different passphrase search ranges and each machine subdivides their allotted passphrase ranges for each processing core to maximize possible processing available. Dimma, to provide an online server or farm of servers that could be used by subscribers to brute-force passwords on anything would likely result in SLOWER try rate than using your own dedicated PC since it could be shared by thousands of people grinding the whole process to a near halt! First things first, maximize the local processing capabilities of the local machine, include multi-core AND simultaneous GPU multicore processing. If you then want to rent/lease a server and dedicate it solely to your own brute forcing of a password then you might manage a slightly better speed. Another optimization would be segmented brute forcing where different machines are dynamically allocated different passphrase search ranges and each machine subdivides their allotted passphrase ranges for each processing core to maximize possible processing available. I can't install the program on my Windows 7 computer. Bob, they are filenames *containing* information regarding the crash, and no information regarding why the crash occurred can be gleemed simply from posting the filenames. I have used PDFKey Pro for five years. 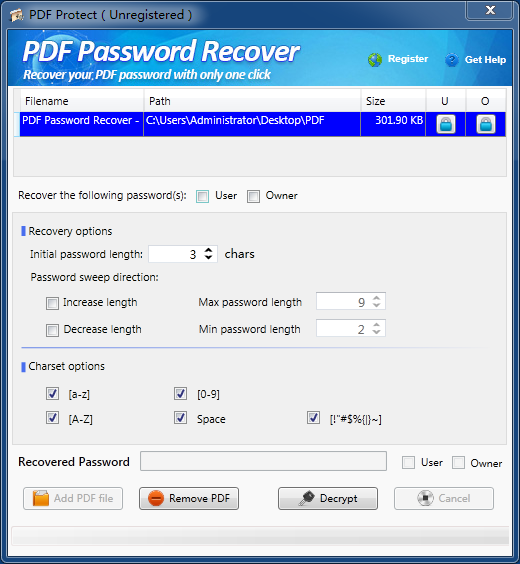 It has never failed to unlock a password-protected pdf file, leaving the original file intact and producing an _unlocked.pdf copy. For me it has been worth its $25 price. I have used PDFKey Pro for five years. 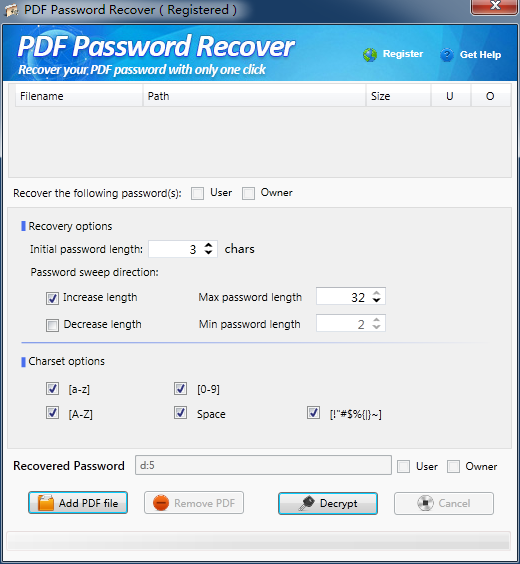 It has never failed to unlock a password-protected pdf file, leaving the original file intact and producing an <original name>_unlocked.pdf copy. For me it has been worth its $25 price. The owner password will take much longer. from my point of view it would be better if this could load all the pdf files in a folder and pre-scan them to show which have ANY form of password protection... It's taking ages finding ANY pdf files that have any form of protection all, including downloaded utility bills, official terms and conditions etc, one file at a time! TK, wow, you suggestions are awesome. Thank you so much. We will update this application with your ideas! Its easy to create your own PDF with a password though. Why would you want to scan a folder to find password-ed ones? Aah, it sounded like you were struggling to test the program with a password-protected PDF and you couldn't find one. Why TWO buttons at the bottom of the user interface that pop ups [ Start decryption process ]? Also, rather than 'decrypt', please change to 'find password' or 'remove password'. So, does this save a password-free file, or just tell you the password for you to try? Then change to [ Find password(s) ].
. Why TWO buttons at the bottom of the user interface that pop ups [ Start decryption process ]? Fist button says [ Remove PDF ] ( does this really just take a highlighted PDF file out of the list above ? ) The second says [ Decrypt ] Also, rather than 'decrypt', please change to 'find password' or 'remove password'. So, does this save a password-free file, or just tell you the password for you to try? Then change to [ Find password(s) ]. Thanks. .
Peter Blaise, Thank you! Your suggestions are important for us to improve user experience. papin, not from the selections shown in the program. There is no custom character input box that would allow accented letters or other odd characters that might still be legal password characters. papin, same here- the captcha is pain. George James Ducas, theoretically, this application is capable of calculating the only and correct password. The most important thing I should boost is the speed of calculation. support@pdfpasswordrecover.com, may i suggest you optimise the decryption testing routines in processor specific assembly language, wheither CPU or GPU and try and engineer it so the code loops and data segment that is test decrypted should reside within the level 1 caches for as long as possible and if that fails then level 2 cache, do not code the grunt work using any .NET framework, use .NET for the GUI if you must but not for any number crunching! Installed in XP but refuses to run. XP-Man, Sorry for that. This application requires .Net Framework 4.0 or above right now. We will release a new version which supports Win XP soon. We will inform you if you are kind to leave your email address for us. Chris Locke (CS Computer Services), Correct. This application will try all combinations of passwords and get the correct one. Unless your user password is 5 characters or less and has no special characters, brute force recovery will take forever on a typical user machine. 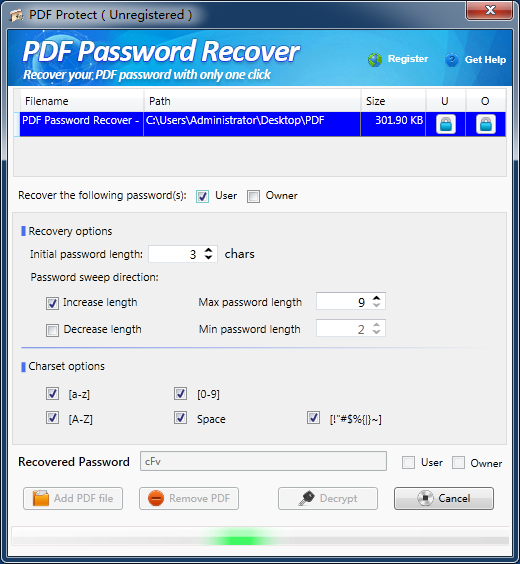 Owner password defeat is quite simple, as it doesn't even require guessing since the password mechanism is flawed, it is easily broken. Unless your user password is 5 characters or less and has no special characters, brute force recovery will take forever on a typical user machine. Owner password defeat is quite simple, as it doesn't even require guessing since the password mechanism is flawed, it is easily broken. Downloaded and tried to install twice and both times got the error message: "error reading setup initialzation file"
Hi, Bill Rutan, Sorry for the inconvenience we bring to you. We have never encounter such issue when we are testing our application. Would you mind giving us more detailed information such as your system environment to our support team? 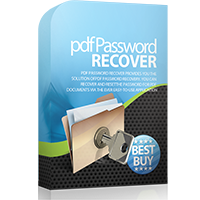 You can send an e-mail to: support@pdfpasswordrecover.com Best Regards! Bill Rutan, try downloading the file from the vendors site listed as "Homepage:" and using the registration information in the Readme.txt in the giveaway zip bundle. STAN, Are you saying this program is "s l o w"? rww, this application won't remove the password of your PDF files, but it enables you recover or find the password of any PDF file. Josef, not the program itself. What I was trying to say is that if the password is long and strong enough- there will be so many possible combinations, so on regular (home) computer it will take years to check all the possible combinations. Not the progra, the process could be slow. STAN, "if you are young enough and if your computer can last enough to wait for your grandson." By the time any of the current crackers get the job done we'll have petaflop massively parallel computers that can do it in an hour. STAN, "if you are young enough and if your computer can last enough to wait for your grandson." By the time any of the current crackers get the job done we'll have petaflop massively parallel computers that can do it in an hour.